In what has become a tradition during medical, psychiatric and psychoanalytic conferences around the world, Drs. Preter (www.psychiatryneurology.com) and Bursztajn (www.forensic-psych.com) continue their exploration of post-Shoah psychological trauma and its representation in film. As in previous years (e.g., World Psychiatric Association, Istanbul 2006; International Psychoanalytic Association, Rio de Janeiro 2005; International Society for Traumatic Stress Studies, Buenos Aires 2004 and American Psychiatric Association, Philadelphia 2002), this work-shop will screen and discuss the last Yiddish-language movie made in Poland, Undzere Kinder (Our Children), 1948. 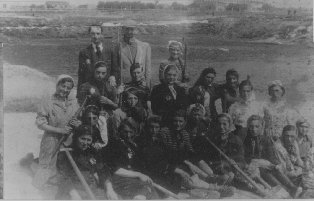 Protecting public health by day, building secret underground refuges by night, Dr. Bursztajn's mother (3rd from right; first row) with other Lodz ghetto re-sistance members in 1944. 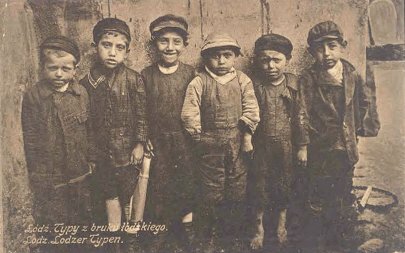 The little actors in Our Children were all residents of the Helanowek orphanage, many of them the sole survivors of their families.